Offering a preferred blend of performance, agility and ergonomics, the Sportster 1200 Low adds a recalibrated suspension and tire-hugging front fender for 2009. Powered by a fuel-injected 1200cc Evolution V-Twin engine, the 1200 Low also features a pull-back handlebar, a low 26.3-inch seat height, and a 4.5-gallon fuel tank. Black 13-spoke Cast Aluminum wheels are not available on any other Sportster model sold in North America. This one is super clean, and ready to ride! Call today! Fully serviced, and ready to ride!!! All of our pre-owned Motorcycles have been serviced by our fully trained technicians, and a full checklist has been completed. Also,we check all charging systems. When you get a bike from us, it is truly ready to ride! 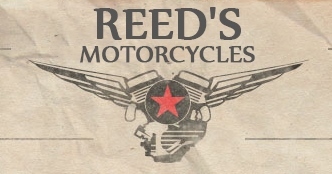 Be sure to visit www.reeds-motorcycles.com to see this, and other motorcycles in our inventory. We are your one stop store for your all your motorcycle and parts needs!